Former Philippine dictator Ferdinand Marcos was buried with military honours at the ‘Libingan ng mga Bayani’ national heroes’ cemetery in Manila on Friday. His internment comes almost 30 years after his death in Hawaii, and has led to protests by human rights groups and politicians. Many in the Philippines were angered by the way the Marcos family kept the timing of the burial a closely-guarded secret, including Vice President Leni Robredo who likened the ceremony to “a thief in the night”. “This is nothing new to the Marcoses, they who had hidden wealth, hidden human rights abuses and now hidden burial – with complete disrespect for the rule of law,” she said in a statement. President Duterte, who is attending the Asia Pacific Economic Cooperation (APEC) summit in Lima, Peru, had given orders in August that the burial could go ahead, in line with an election campaign promise. However, it could only take place after a Supreme Court ruling last week that dismissed objections from human rights groups. Marcos’ eldest daughter, Imee, the governor of Ilocos Norte province, thanked Duterte for allowing her father, a former soldier and guerrilla leader during World War Two, to be laid to rest alongside fellow soldiers. “At last, my beloved father’s last will to be buried with fellow soldiers was fulfilled today,” she said. She also asked people to understand the family’s decision to keep the ceremony “simple, private and solemn”. The media was barred from the ceremony and waited outside the cemetery as a 21-gun salute was fired and a Philippine flag was handed to Imelda Marcos. Dozens of protesters rallied around Manila, some burning pictures of the late dictator. 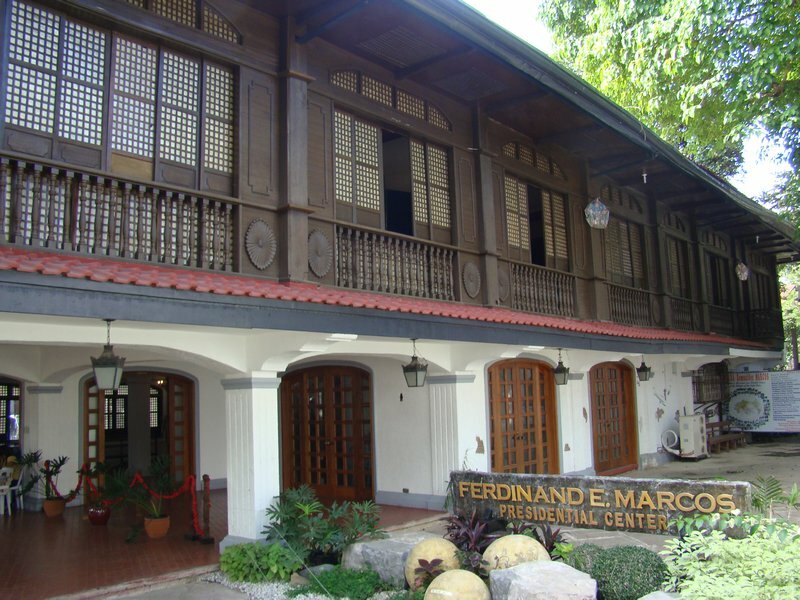 Previous governments had blocked the burial and the body had lain in a refrigerated mausoleum in the Marcos hometown of Paoay since it was returned to the Philippines in the early 1990s. Marcos imposed martial law in 1972, before the end of his second term as president and then ruled by decree. He ruled the Philippines for 20 years, during which time he, his family and cronies amassed an estimated $10 billion in ill-gotten wealth. Tens of thousands of suspected communists and political foes were killed. He was chased from office in a people’s power revolt in 1986 and died in exile in Hawaii three years later. The Marcos family returned to the Philippines in the 1990s and have since become powerful politicians. Speaking at the APEC summit, presidential spokesman Ernesto Abella said the family did not inform the president about the burial, insisting the government was only implementing the court’s decision. “He was given a soldier’s burial,” Abella said.